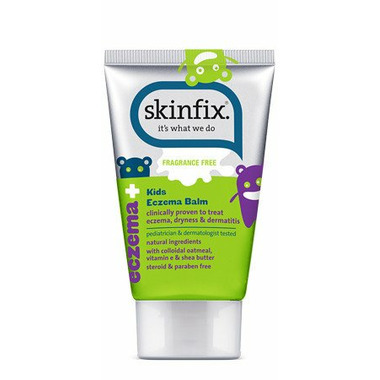 SkinFix Kids Eczema Balm treats eczema, dryness, and dermatitis. Using nature's pharmacy, this healing balm works fast to safely relieve dry, red, itchy, and irritated skin all over the body. Directions: Apply generously to affected areas, especially after bathing. Medicinal Ingredients: Zinc oxide 15%, prunus amygdalus dulcis (sweet almond oil) 7%, collodial oatmeal 2%, allantoin 1%. Non-Medicinal Ingredients: Aloe barbadensis leaf juice, beeswax, butyrospermum parkii (shea butter), cocos nucifera (coconut) oil, helianthus annus (sunflower) oil, liquidambar orientalis (oriental sweetgum), myroxylon balsumum (balsam tolu), paraffin, petrolatum, styrax benzoin resin extract (benzoin) tocopherol. My 5 yr old daughter has eczema around back of her neck shoulder and chest and waist line. I apply this cream right after I got it and it seems it gets better after I apply it for 2 days but after 4-5 days, it's getting worse. I see more dryness and she scratches more often because of dryness. Sorry, I will stop using this. I am a teen, but I bought this to see if this would help my eczema in any way. However, it did it's job well. When I started using it, signs of my very severe eczema started reducing. But when I stopped using it, the condition of my eczema went back to its original state. When I apply it, it also dries up my skin, which is the opposite of what it should do. The smell is also quite strange, but it barely bothers me. Although it feels good to put on the skin, it does not stop my itching in any way. It only heals it. Also, if you are buying this, please note that sweet almond oil is an ingredient in this balm. Nut allergies are very common. So if your child if allergic to it, you might want to stay clear. My final opinion? Most of the ingredients are natural and wholesome. So what could really go wrong? This product is magical. What all the steroids I was told to put on my daughter eczema were not able to do, this steroids free product did in just three days. This is a very thick cream, a little goes a long way. 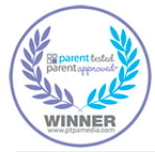 My daughter has one patch of eczema the size of 0,25$ and with twice daily applications it disappeared quickly! But while still applying twice a day the patch came back a few days later, left again, so I don't know if it works. Love this product. works wonders and worth the price! Have used baby one as well. A little goes a long way. It's a nice thick cream, goes on well and blends in nicely. The smell is strong but not terrible. It seems to have worked so far, but I don't think my son has true eczema, just some dry patches. We like it! Received this creme as a sample at checkout and was so impressed with it's fast healing properties that I purchased this regular size without having finished the sample AND before reading the identical ingredients in the SkinFix for adults at one dollar less. I guess it must be the green coloured packaging. It worked better at fixing skin boo boos than anything else I've used (medicinal or otherwise). Worth every penny. My 3yo gets eczema rashes on her arms and this cream has been the best every day solution I've found for the driest winter months. A little goes a long way so the price is justified. It spreads smoothly and easily, but stays greasy for a little while after applying. I would prefer a petroleum-free equivalent, but will stick with this until I find one. My 5 year old has had bad eczema since birth. Rx hydrocortisone helps a tiny bit, but she ends up sick if we use too much or too often (steroids lower her immune system). Gave this Skinfix a try after her bath one night, where she has very large painful raised red patches, and by morning it was cleared up by 90%!! Two nights later they are completely gone! Unreal! Her perception hydrocortisone barely touched these bad patches. THANK YOU SKINFIX!! My son has very bad eczema. My husband has psoriasis and I expect his eczema will turn into that. It's very raw and sore, especially in the winter. We've used hydrocortisone creams and other prescription creams to try to get it under control. These would help with the red flares but never took it away. The Skinfix cream actually made the patches get smaller and disappear after a few days of regular use. Although this is a bit pricier than other creams, you only need to use a very small amount so it lasts quite some time. Definitely worth it! Very happy with this cream. It's a little expensive, but I'm so glad to finally have a product that works on my son's eczema. My toddler get very bad patches of eczema. The doctor has prescribed hydrocortisone cream but even that, using twice daily, doesn't do a great job at relieving the redness. This cream is fabulous. I use it morning and night for him and it relieves the spots better than the prescription stuff. I was a little unsure as it cost a lot for a small tube, but it is definitely worth it. Will be using this for a long time as its the best we've found!